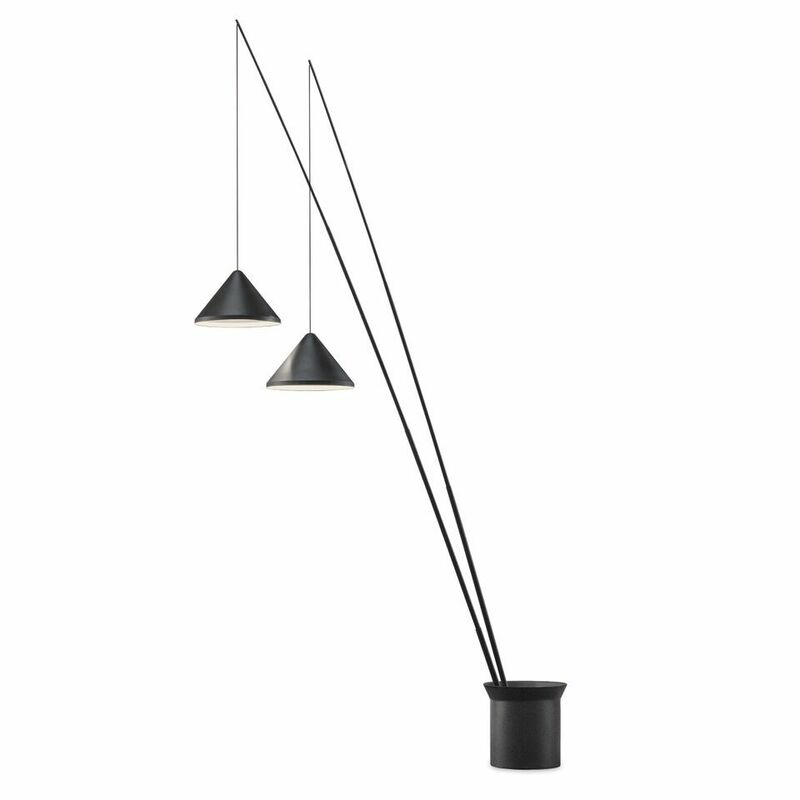 The North floor lamp collection is an Arik Levy design. Its design is elegant, varied, dynamic and very adaptable. The North collection makes it possible to bring light to exactly where we want it. Several arms protrude from the base, between two and four depending on the model, configured at differing angles in order to provide a focused lighting effect where needed. Vibia produces the North floor lamps in different finishes responding to contemporary trends as well as using LED as a light source. All floor lamp models can be plugged in or directly connected. Designer, technician, artist, photographer and maker; Arik Levy works on multidisciplinary projects, his work has been exhibited in galleries and museums around the world. Arik Levy as a lamp designer for Vibia has created a series of collections which share a refined and sculptural approach to forms: as can be appreciated with the Wireflow and Rhythm hanging lamp collections or the Fold and Sparks wall lamps. All of these collections allow the end user, whether private client or professional to customise the lamps according to their lighting project requirements.